This London Fashion Week, as well as the usual shows, backstage, street style spotting etc, I had another secret mission on my agenda; filming a behind the scenes view of what bloggers really get up to at London Fashion Week for Grazia.com and The Debrief. Using an app called SeenIt, I filmed my time at London Fashion Week vlog style (something new to me, as a non-vlogger!) and uploaded straight to the app to give you a view of what really happens at Fashion Week. You’ve seen LFW from our instagram feeds and blog posts but in this video you’ll see everything; from how we get there (it’s not all glamorous blacked out Mercedes, you’ll spot me wearing my Valentinos on the Tube in The Debrief’s edit!) what and where we eat (afternoon tea at The Apartment was definitely a highlight!) and everything else from backstage beauty to rooftop cocktails. 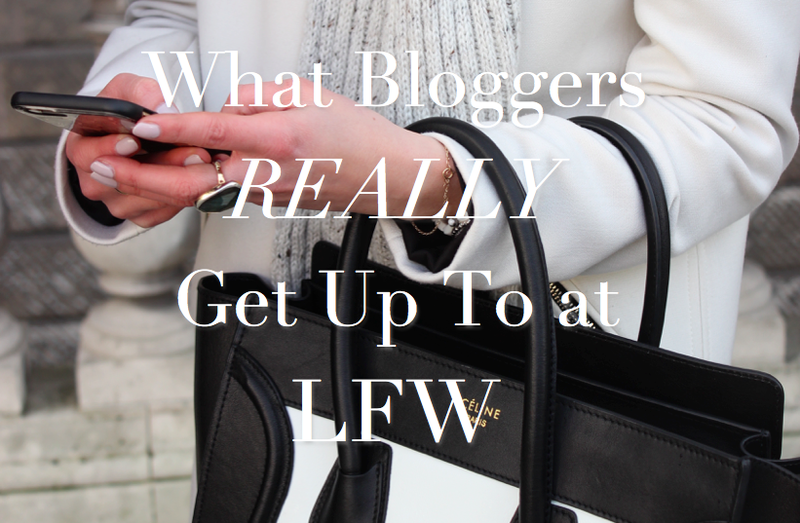 So take a look at these videos and join me, Julia Rebaudo (Style Nylon), Lois Waller (Bunnipunch) and Sarah Mikaela (Framboise Fashion) as we show you what bloggers really get up to at London Fashion Week! It was such fun sharing my LFW experience, thank you for having me, Grazia, The Debrief and Seenit!